Love spending time in the garden, but not keen on hours of gardening? Or perhaps you are away a lot and just don't have the time to give your garden as much attention as you'd like. Whatever your reason for seeking out low-maintenance garden plants, these species are sturdy and resilient, and won't mind if you forget to water them (for a while). For more advice, find out how to choose plants for your garden in our comprehensive guide and check out our sourcebook of top garden retailers for all your gardening needs. 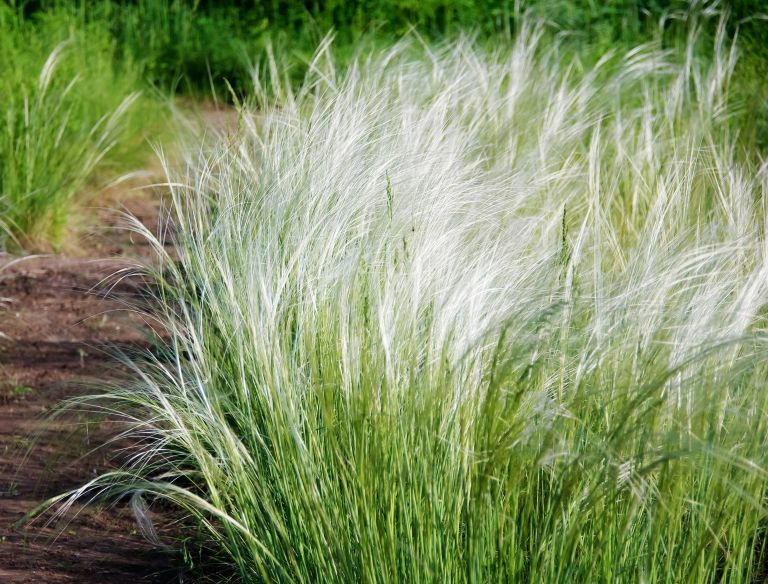 A stunning yet resilient plant perfect for adding texture to your garden landscaping. Forms neat clumps of wispy grass. Drought tolerant and self-seeding – so, almost none. In full or partial sun, or semi-shade. This fully hardy, extremely tough plant boasts attractive foliage that turns pink in cold weather. Water well until fully established; once established, the plant requires very little maintenance. Any soil from light and sandy to heavy clay. Any position, but the plant will be happiest in full or partial sun. Looking to create a container garden? This unusual plant has soft, velvety leaves that are lovely to the touch and does very well in containers. Drought resistant and tolerant of coastal conditions. Protect from severe frosts and avoid waterlogging. Looking to create a wildlife garden? Buddleja, or 'Butterfly Bush', is a long-time favourite in British gardens, producing fragrant cone-shaped clusters of purple flowers throughout the summer that butterflies and bees love. Once the plant is established, it requires very little maintenance, apart from an annual prune in spring, when you'll need to cut it right back. Find more pretty purple flowering plants for your garden in our gallery. Cistus or rock rose is a Mediterranean native and is drought-tolerant. It also does well in coastal areas, being used to salty air. During the summer, the shrub produces masses of pink flowers. After flowering, pinch back young plant to encourage a bushy habit. Do not hard prune. Protect from hard frost. Any well-drained or container soil; chalky soil.